True protection of your building, employees, and assets begins with the fundamental protection of your fire suppression system itself. By ensuring that your system is at its peak operation levels, any time of the year, we help protect the system itself from breakdown and malfunction, therefore working to ensure the safety and security of your entire facility. A life safety inspection can help to uncover areas of risk and give you the chance to perform needed maintenance or repairs on your fire safety equipment. The State of Texas requires annual inspections of all fire protection and suppression systems for all multi-family residential housing and commercial and industrial buildings of all types. By keeping your system up to code and functioning optimally, we help avoid the temporary shutdown of any of our client’s facilities, fixing issues before they become hazardous problems. 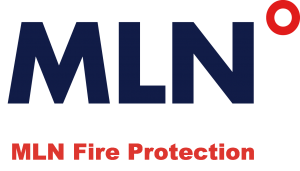 The MLN Fire Protection team is comprised of some of the most qualified, licensed fire inspectors in the industry, allowing us to keep the daily goal of keeping people safe, a reality. Antiquated fire suppression systems may not meet today’s more stringent fire safety codes, making their inspection and update imperative to the overall safety of your building. Don’t skip on this fundamental element of building security. The lives of your employees and guests may depend on it. If you’ve gone for more than a year without a state-approved fire inspection, call for one right now.